Far away from anywhere, a little sushi bar on the southwestern island of Kyushu has blown away those who made the pilgrimage. 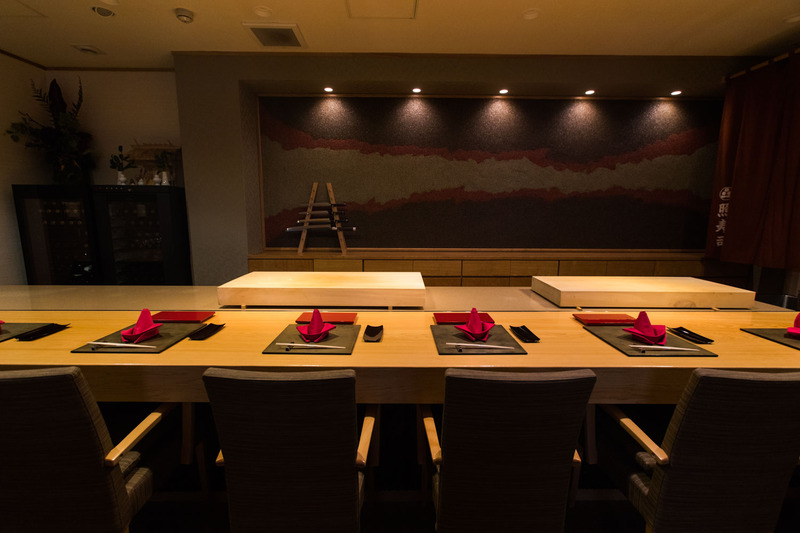 Ignited by their words of praise, Teru Sushi is becoming one of Japan’s hottest culinary sensations, attracting gourmands who want to experience the best of what Kyushu can offer. The sleepy coastal town of Tobata is unknown to even most Japanese. Deeply off the beaten path, most guests would have traveled for hours to reach an ordinary shopping street, where Teru Sushi is located. The second you walk through the entrance, Chef Watanabe’s lively voice greets you with a gush of energy. His judo-trained body stands tall behind the beautiful gingko counter that stretches majestically across the dimly lit room. Set against a dramatic wall painting, a thick cutting board becomes the perfect stage for Watanabe’s powerful performance. At his arm's length is a beautiful rack displaying his customized knives, including his favorite 3-feet blade that slices with great precision and smoothness. 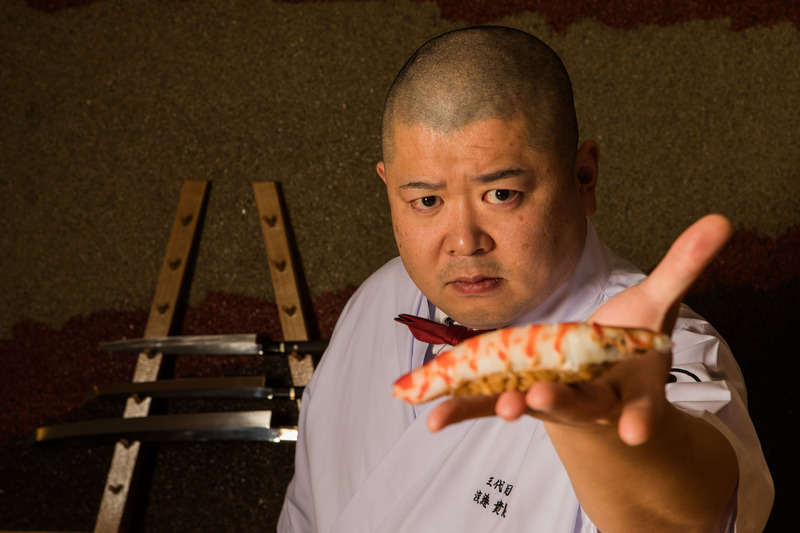 When the sushi is ready to be served, instead of placing it on the counter, Watanabe straightens his arm to the guest with the sushi resting on the tip of his middle two fingers. The guest carefully picks up the shining gem, and pops it right into his or her mouth. This gesture alone instantly creates an intimate connection between Watanabe and every one of his guests. 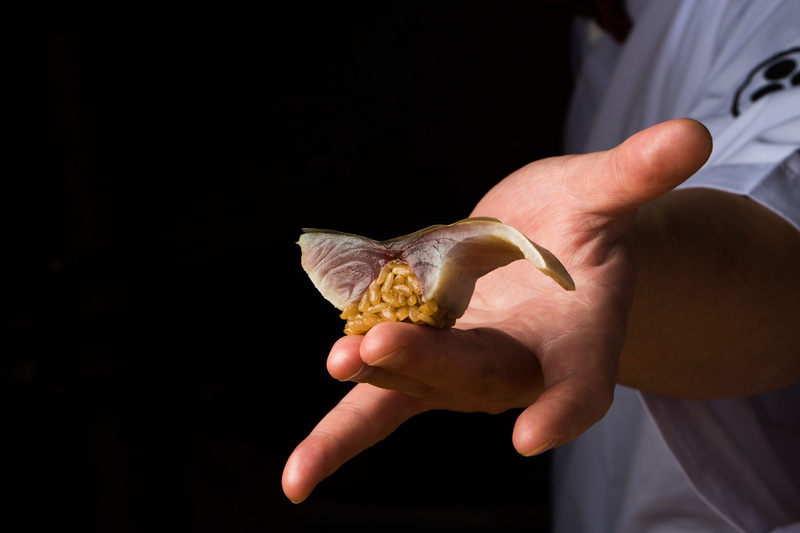 The best ingredients, prepared by the best method, to bring out the best flavor – Watanabe’s philosophy is simple. He also believes the dishes should look as beautiful and delicious as they taste, enticing guests to tuck in with pleasure. 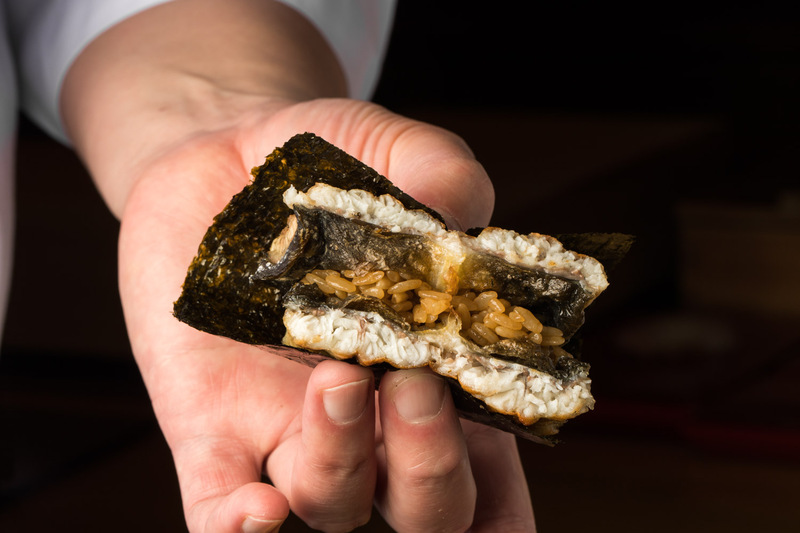 Among the most memorable of Watanabe’s signature dishes is the Unagi (eel) burger. The sweet and smokey charcoal-grilled eel is wrapped around hot rice, and sealed with a strip of crisp seaweed. The flavor explodes in your mouth as you bite into the burning burger. 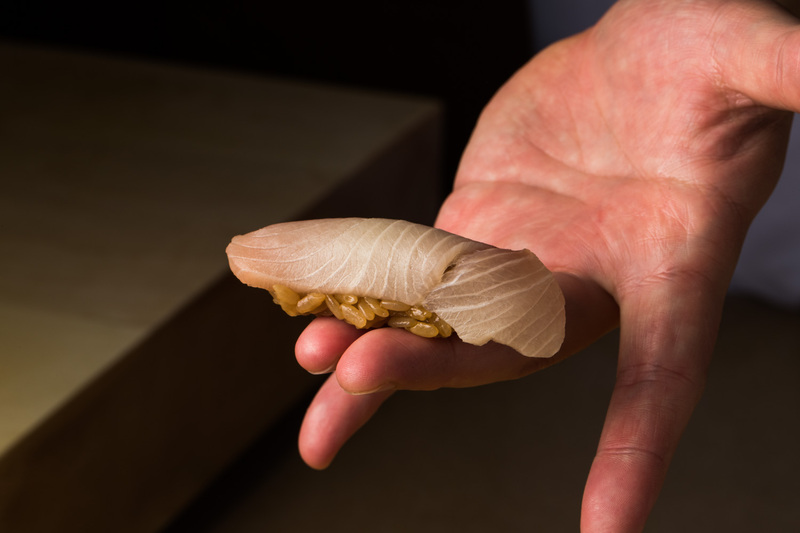 Another is a mackerel sushi called “Little Bird,” where the aromatic fish is carefully sliced into a beautiful shape of a warbler, and rested on red-vinegered rice. The juicy sea urchin with squid is an unforgettable pairing. The squid has been sliced so many times, it instantly melts in your mouth like butter. 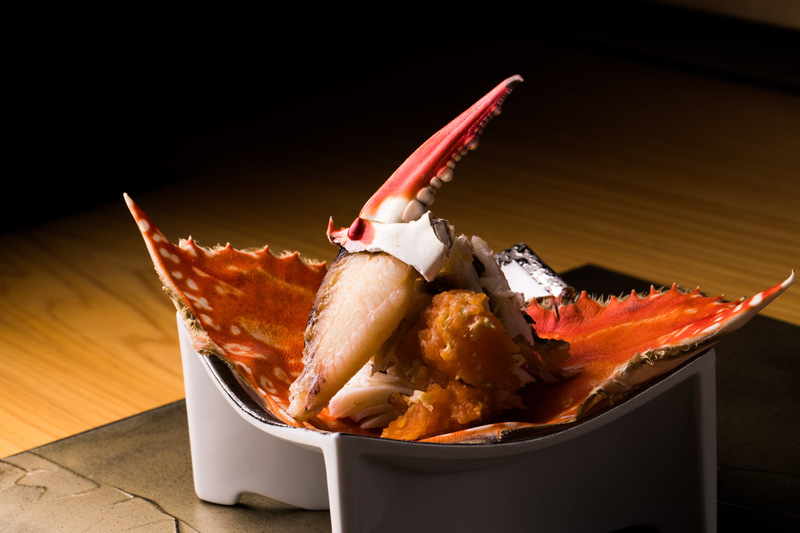 The fresh blue crab is another treasure from the nearby seas, which Watanabe likes to simply salt boil to bring out its profound taste. 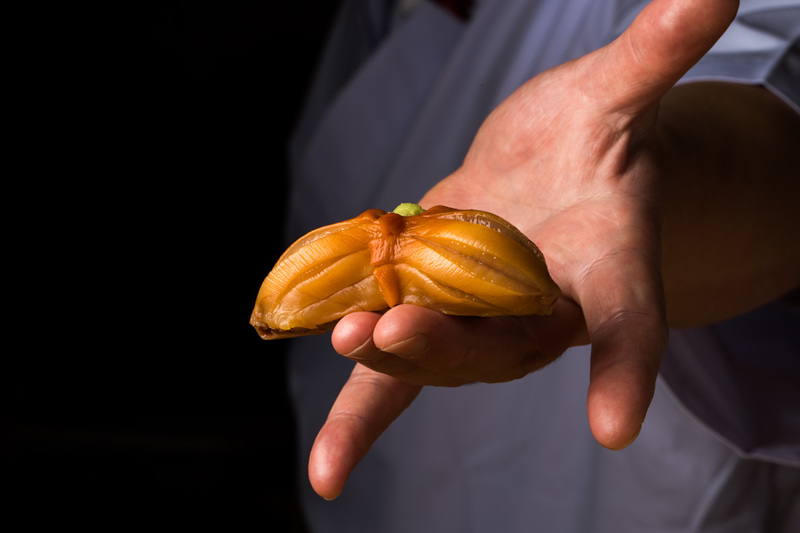 Drizzled with creamy liver sauce, the thick slices of giant abalone make you taste that lovely sweet aroma of the sea. 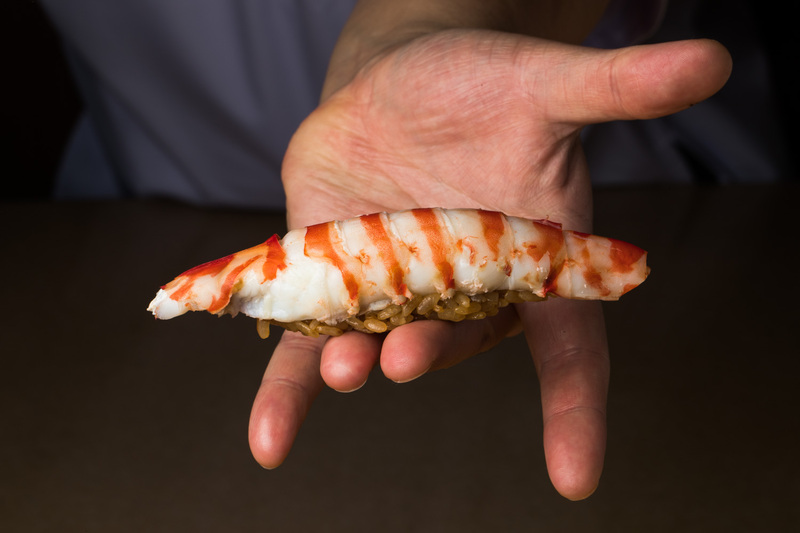 And the Japanese tiger prawns and surf clams are plump in texture and bursting with flavor. 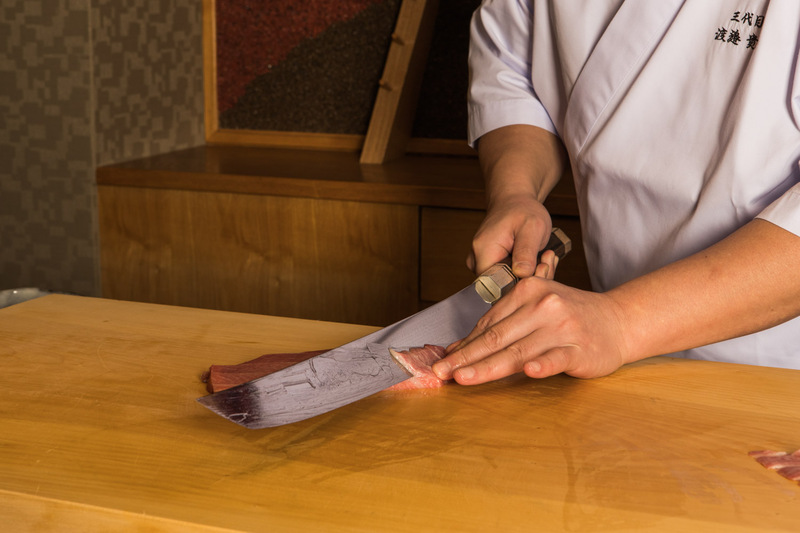 Almost all of Teru Sushi’s fish is sourced locally from nearby Kyushu or Yamaguchi seas. Watanabe visits the Tanga fish market every morning, and buys directly from local fishermen with whom he’s built great relationships with over the years. He also makes sure the fish is properly bled and has gone through a process called shinkei jime that stops lactic acid from building up. Teru Sushi was opened by Watanabe’s grandparents decades ago, and served the local community as the town’s go-to sushi place. Growing up in the house next door, sushi was a part of his everyday life. As a child, judo was another of his passions, leading him to national championships, and later International Budo University that specializes in martial arts. Thanks to the intensive training he endured for years, he learned to be patient and hardworking when faced with challenges. When he graduated high school, he began working at a kitchen of a local hotel, marking his first step into the culinary world. The job was demanding, requiring him to prepare large orders. It was here that he mastered everything there was to know about basics of Japanese cuisine. Working at hotels also allowed him to learn about management and finance. He later returned to his hometown and began helping his family’s restaurant. For the first few years, he helped his father make large quantities of ordinary sushi, usually for deliveries or funerals, while doing sales rounds to suppliers. The big change in Watanabe happened when a local fishmonger fed him a slice of seki saba, premium mackerel from northern Kyushu. 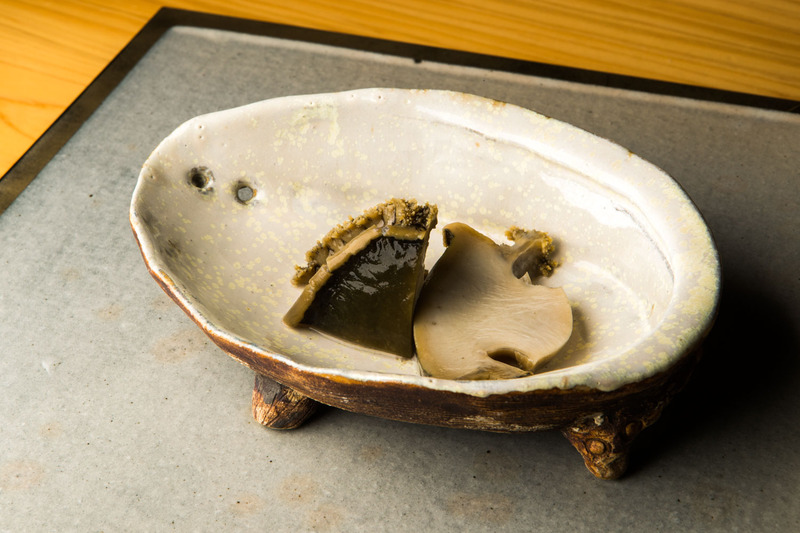 Watanabe was so shocked by its deep and incredible flavor, the experience inspired him to imagine a local restaurant of his own that no one in Tokyo could even mimic. Not yet 30 years old, the one thing he had in abundance was time. He traveled extensively to meet fishermen and producers all across the island to learn more about local delicacies. It was during these years that he was able to cultivate important relationships that would later help him create a restaurant of his dreams. Gradually, Watanabe began to procure higher quality fish, raise prices, and earn better sales. But still, being based in a Kyushu suburb, times were tough. It was about four years ago that he decided to renovate the restaurant and market his restaurant in a whole new way, this time using social media. Being in an isolated location, he knew he needed to be different to make himself known to the world. Watanabe threw out his old pair of glasses, bought a few bowties and began collecting knives that he would pose with for Instagram and Facebook. He began blogging about his philosophy, ingredients and dishes. He asked his guests to post reviews under #thisisterusushistyle. And just like that, the words of appraisal quickly spread and more people started pouring in. Watanabe’s eyes are turned to the world. 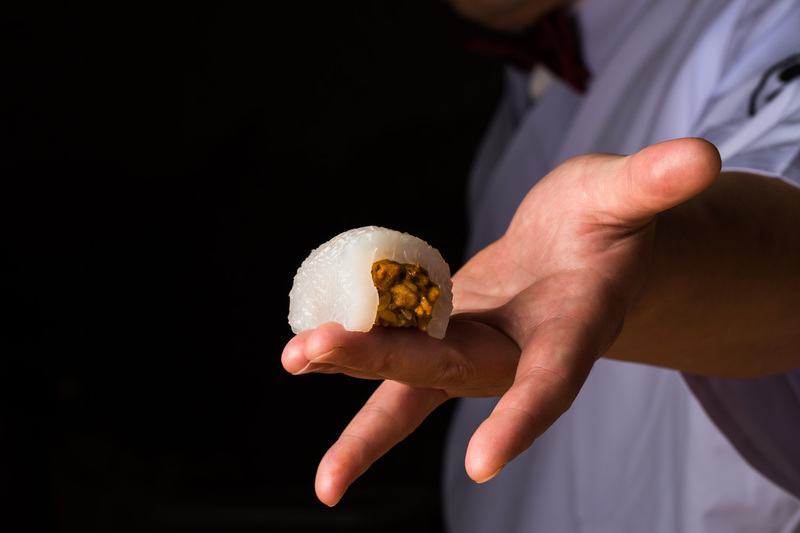 He wants more people from different countries to come and eat his sushi, and be amazed. Expanding abroad isn’t a part of his plan as he strongly believes his work is made possible by being close to home. And knowing so many of his guests have traveled so far, he only wants to serve them with the best. 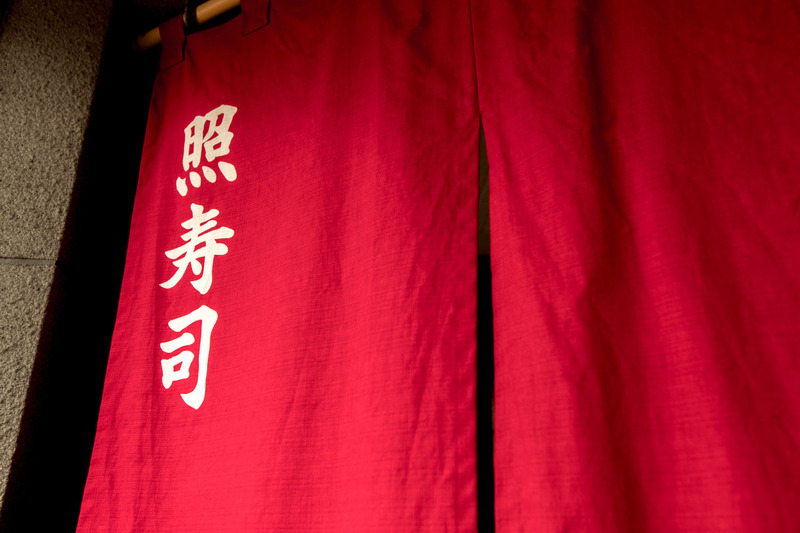 Teru Sushi’s wine collection is made up of local varieties from Kumamoto, where about 30 small winemakers are based. The mountain's cool temperature, access to good water, and abundant sun make it an ideal location for wine winemaking. 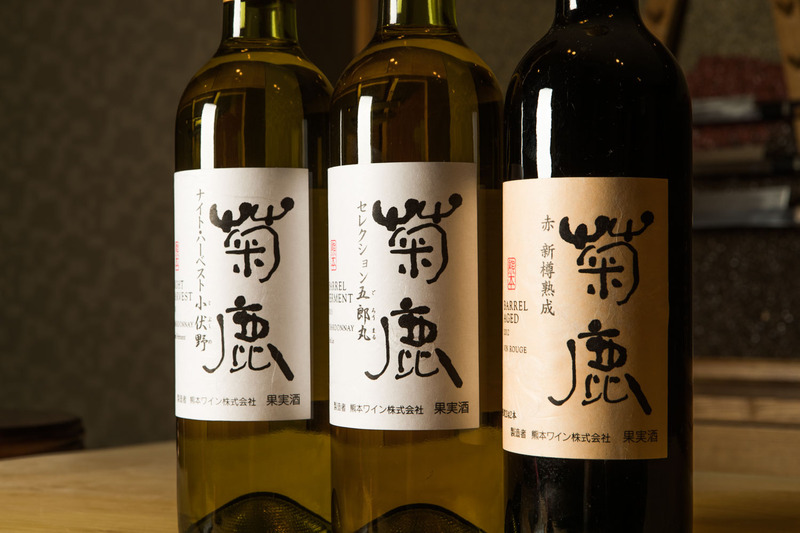 Among the rare vintages, Watanabe’s favorite is the Kikka Chardonnay, of which only 242 bottles are produced every year. 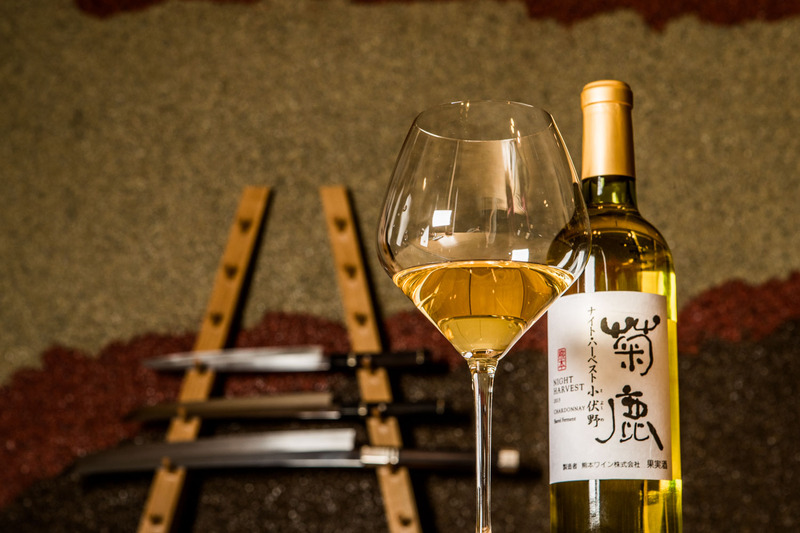 The robust wine is an ideal match with the potent flavors of Watanabe’s sushi.